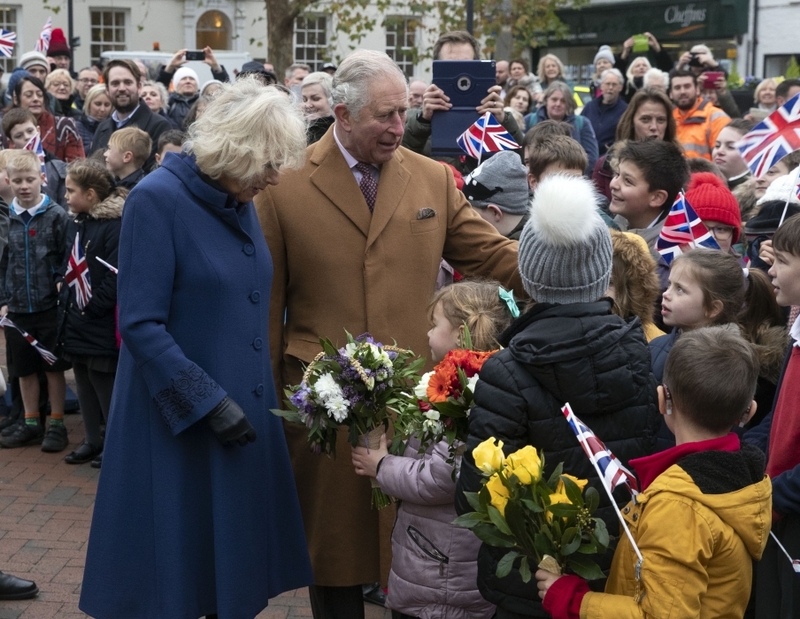 The Prince of Wales and The Duchess of Cornwall carried out engagements in Cambridgeshire today, visiting Cambridge, Ely and Wisbech. The Duchess of Cornwall began the day visiting Addenbrooke's Hospital in Cambridge where Her Royal Highness learned more about the charity JDRF UK’s work to promote new technologies to improve the lives of those living with type 1 diabetes. The Duchess hailed an artificial pancreas created by medical researchers to give type 1 diabetes patients control of their lives as "brilliant". Her Royal Highness was shown the innovative technology being trialled in the UK, which mimics the human body and automatically gives patients the right amount of insulin, ending the need for constant monitoring and injections. Her Royal Highness has been President of JDRF UK, a global organisation funding type 1 diabetes research, since 2012. The Prince of Wales meanwhile arrived in the city of Ely where His Royal Highness visited an almshouse run by Thomas Parsons' Charity. The Prince also toured The Stained Glass Museum, located inside Ely Cathedral, in his role as its Patron. The Prince of Wales and The Duchess of Cornwall then toured Ely Market and met residents and stallholders. Next, Their Royal Highnesses travelled to Wisbech where The Prince visited The Parish Church of St Peter and St Paul and met local community groups and charities working in the area. The Duchess of Cornwall visited The Wisbech & Fenland Museum and learned more about how local organisations are supporting families and primary schools to improve children’s literacy skills in Wisbech.